Every mom needs more help than we get. But if you’re a new mom struggling with anxiety and depression, it can be difficult to reach out for support. With or without a diagnosis of PMADs, you deserve help—and yoga therapy may provide just the tools you need to address any physical or emotional imbalances you are experiencing. The best part? Much of it can be done while you’re holding a baby or lying down. No mat required. Suzannah Neufeld is a licensed psychotherapist and certified yoga therapist in private practice out of the Bay Area. She has 15 years of experience supporting people coping with eating disorders, body image concerns, anxiety, and pregnancy and early parenthood. Suzannah speaks regularly on the topics of eating disorders, body image, perinatal mood disorders, and yoga therapy for organizations like the California Association of Marriage and Family Therapists, Postpartum Support International, and About-Face. Her first book, Awake at 3 a.m.: Yoga Therapy for Anxiety and Depression in Pregnancy and Early Motherhood, was published in 2018. Today, Suzannah joins us to share her definition of yoga, discussing the difference between its true intention and how it’s been marketed in Western culture. She offers her take on the idea of self-care and explains why she advocates for responsiveness to your body instead. Suzannah also addresses what she calls the ‘all-natural mandate’ and the judgement and shame pregnant women and new moms feel around food. 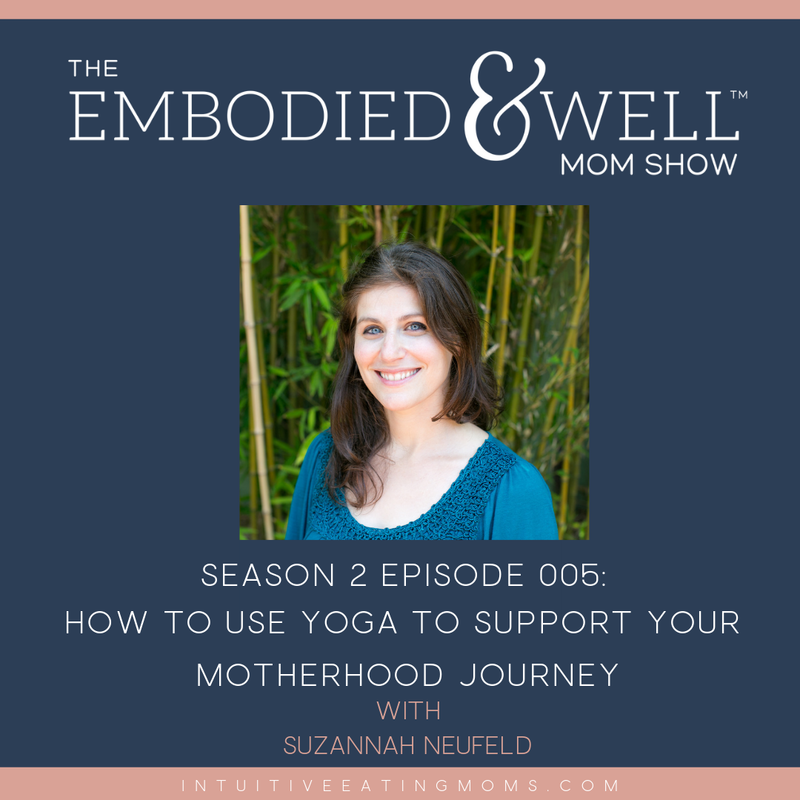 Listen in for Suzannah’s insight on the distinction between PMADs and the baby blues, the value in researching therapists before the baby comes, and how she leverages yoga therapy to help moms with anxiety and depression. Non-diet wellness made simple for moms. A month dedicated to establishing a mindfulness practice and using it to support your eating (and life) experiences.